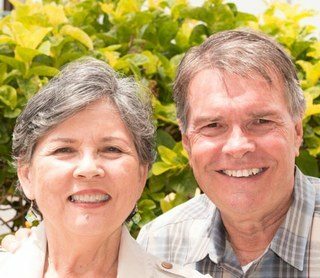 Ralph Moore and his wife, Ruby, started the Hope Chapel movement when they planted Hope Chapel Hermosa Beach in California. Twelve years and 30 church plants later, they partnered with Aaron and Stephanie Suzuki and a team of 26 others to plant Hope Chapel Kaneohe Bay, Hawaii (now Anchor Church). Lately they and a wonderful team planted a third church, Hope Chapel Honolulu. Besides being church planters, they are happy parents and grandparents. A former surfer, Ralph occasionally gets in the water with a stand-up paddle board. Currently, he mostly spends free time walking, reading and hanging out at the pool. After starting the launching the first church plant from the newly-planted congregation, a man named Jack Hayford prophesied that the ministry would become “like a coconut tree, dropping coconuts that took root around the world.” At the time, the Moores lived in California and had never seen a coconut tree. That word picture accurately describes the “Hope Chapel movement.”Beginning with just 12 people, the ‘movement’ mushroomed to more than 2,300 churches worldwide. It involves an estimated 220,000 people. Most of these churches were planted by pastors who were discipled into ministry by someone in their home church. Hope Chapel is more of an idea than a movement. It is simply people who make disciples who make disciples. Some of them plant churches, hence the multiplication. Ralph doesn’t oversee a denomination, or even a structured effort. Any influence he has is relational or through whatever he may write on the web or in books. Technology has been good to Hope Chapel leaders, supporting long-distance relationships and healthy communication. As a writer, Ralph focuses on church multiplication along with it’s attendant challenges and opportunities. Because of a personal bout with panic/anxiety he writes for pastors and leaders facing stress and burnout. Ralph currently travels the globe, training pastors and leaders with simple, no-cost tools for making disciples, training leaders in-house and multiplying churches. Most of this involves poorer nations or places where the gospel has lost it’s impact. He mostly works with young church planting networks (none of these figures into the tally of churches in the Hope Chapel movement). You can read more about this on the “Donate” page on this site. Through Mission Hope International, Ralph’s goal is to bring Christ to the nations by helping small networks church planters morph into church multiplication movements.